3 What is NRR – Noise Reduction Rating? Gun enthusiasts would naturally look to be investing not only in guns but also in a range of accessories that can enhance their gun-ownership experience. Since they shoot in both an indoor shooting range or outdoor environments, one such class of accessories is ear protection. In fact, it is not only about protection, safety and maybe comfort, it is also to purely enhance the experience. As it is explored in our detailed review of the best ear protection for shooting, you’ll be better-served to read through multiple ear muff reviews for shooting to ultimately settle on the one (or more) which suits your specific ear protection needs. This is a great pair of earmuffs for blocking out loud impulse noises such as your lawn mower or gunshots. Simultaneously, it offers you amplification of those natural ambient sounds you still want to hear as part of your natural shooting experience. The “good” sounds that you need to keep include human voices both in indoor and outdoor shooting environments. But it is mostly outside where more of these ambient sounds are important, like the sounds made by the game you’re hunting and such like. This new version of Howard Leight’s Impact Sport Earmuffs is a definite improvement on the earlier version, with an up-step in the amplification offered (previously 3x, now 4x). Weight is another improvement since the new unit is slightly lighter. Accessing the battery compartment previously presented a mini-nightmare for practical shooters such as hunters, otherwise, you still get a decent NRR of 22dB and compatibility with audio input such as your MP3 player. Just one look at these earmuffs, which come in a sports camouflage design , and you’ll immediately get the impression that they were built for outdoor use. So if you are indeed an outdoor shooting enthusiast and an avid hunter, these worth to be looked at. 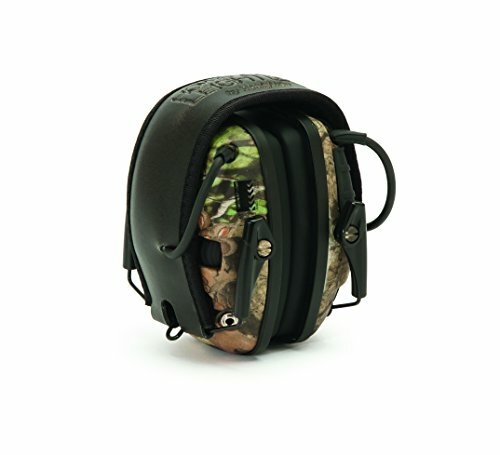 What you get (in the action) with these earmuffs is ample space above the stock of your firearm, so they are really practical for the hunters outdoors. The low-profile headband adds more compactness and practicality to these earmuffs, so you can easily maneuver and navigate those tight spaces, usually posing a challenge to those hunting small game that can disappear into caves and down burrows/tunnels. You get directional ambient sound amplification of those good noises you want to hear outside, while a decent Noise Reduction Rating of 22dB keeps out dangerous impulsive noises. For whatever reason, if you’re looking for something a little futuristic-looking in terms of its design and appearance, this set of 3M Peltors might just do the trick. 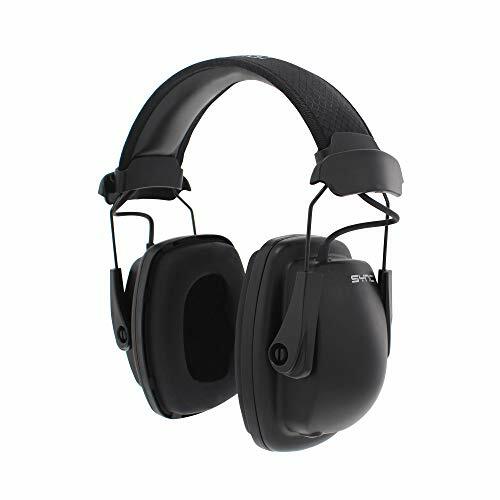 A glossy gunmetal black appearance might suggest at first sight that this is a set of earmuffs exclusive for the indoor shooting range, but the reflective surface of the outer coating surprisingly blends well with the outdoor environments. Admittedly, though, this is indeed perhaps a set of shooting earmuffs built for the indoor shooting range, or maybe even an outdoor range. You wouldn’t really use these for practical hunting purposes because of the invariably high Noise Reduction Rating of 31dB. Simply put, these earmuffs lack any electronics because they’re purpose-built to deliver an NRR that is at the upper scale of what’s available. They’re quite big too, but that’s what you get if you want a high Noise Reduction Rating. 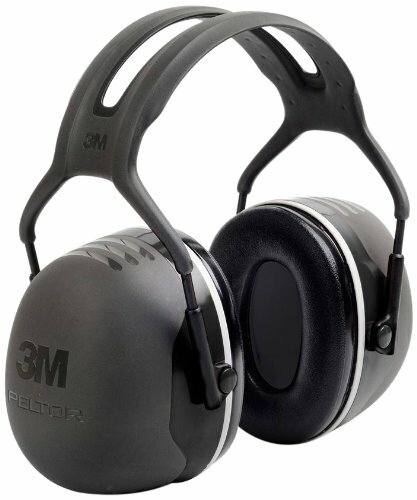 These 3M Peltors are so easy in the eye that they’d probably cause a sound engineer or music producer to look twice at them, in the event that they caught sight of you carrying them while making your routine visit to the shooting range. They are indeed only protective headsets, though, even though the electronics they harbor are quite impressive. With a Noise Reduction Rating of 26dB, they’re a good set of protective headsets transcending the primary function of offering hearing protection. They’re not as heavy as their big size may suggest and they are quite comfortable as well. For electronic earmuffs with ambient sound amplification, these shooter headsets have an impressively high NRR. 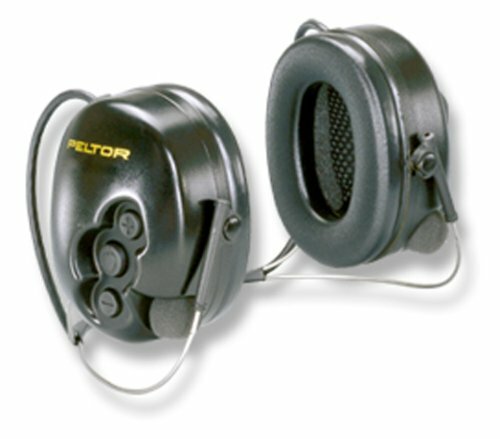 The really good thing about Peltor as a manufacturer of accessories which include hearing protection is that each new product or upgrade incorporates all the lessons they learned from some of their earlier products. You seldom find a new product which isn’t a vast improvement and it’s no different with this set of electronic protective earmuffs. While it’s good for use indoors and outdoors, you’d really be wasting all the features and functions if you didn’t take them outside. One of the most outstanding features of these electrical hearing protectors is their receded microphones, which means no wind noise while shooting outside. A decent Noise Reduction Rating of 22dB goes together well with the other electronic functions, such as ambient noise amplification as well as input jack audio. They reduce echoing effects as well. 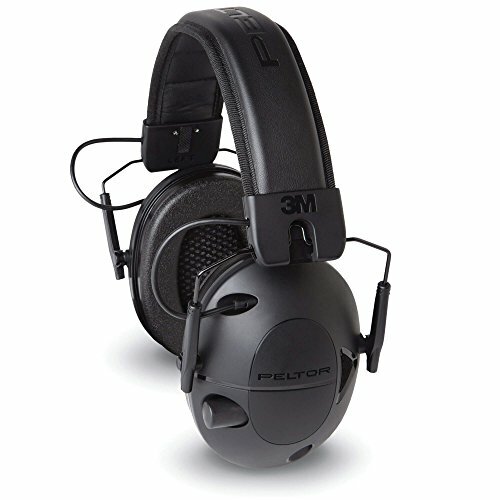 For those shooters (particularly outdoor shooters) who just can’t get convinced to settle on any pair of earmuffs, these Tactical Digital Eaplugs from 3M Peltor would make for a great alternative to earmuffs in general. It’s totally understandable that the nature in which earmuffs are made makes them just too uncomfortable, due to the contact they make with the skin and their size. These earplugs weigh far less, naturally, at 8.2 ounces and they’re much smaller than any earmuff. They don’t come cheap though and they offer a Noise Reduction Rating of 23dB. The electronics unit is rechargeable and powered via 3 AA batteries or a USB cord. Despite clear issues with the microphones picking up wind noise, these are solidly-built and high-quality digital earplugs you can go for as a good alternative to traditional earmuffs. 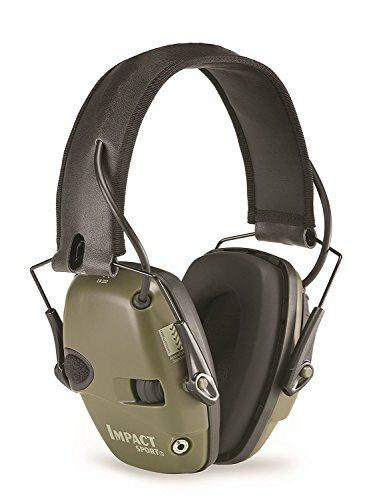 For shooters and perhaps heavy-duty industrial workers who take an all-or-nothing view on their hearing protection, this set of safety ear muffs from ClearArmor makes up the “all” part in the “all-or-nothing” comparison. That is if all you’re looking for is the highest Noise Reduction Rating you can find – if you’re looking for pure hearing protection with no fancy frills that could possibly compromise the protection you get. At 34 dB, this is the highest NRR we’ve had the joy of testing and we featured these earmuffs to give potential buyers a preview of just how high ratings can get. They’re very big though. The ear cups are ¼-inch in thickness, which is just another sign that they’re only built to offer protection and nothing much else. You’d consider this protective headband if you were weighing up your options and looking to see how low you can go as far as the Noise Reduction Rating goes. Going as low as 18 dB (NRR) is perhaps just about as safe as you can go, while still ensuring you get adequate protection for your hearing. Of course, settling for a Rating that is at the lower end of the spectrum means you want more of the other features, like the integrated electronics. This is the ultimate example of that reasoning because you get durability, impulse noises reduced to a safe 82dB and below, as well as ambient noise attenuation like you’ve never witnessed before. Ambient environmental sounds are recreated in a very realistic manner so apart from the contact the ear-cups make over your ears, it literally feels like you don’t have any earmuffs on – you can hear ambient sounds clearly, but won’t get damage from gunshot noises. With conveniently removable and replaceable ear cups, this protective stereo earmuff by Howard Leight is not only easy to use but also easy to maintain. Once removed, the ear-cups can be easily cleaned to keep them hygienically free from any bacteria which could potentially pose a different problem for your ears to that of loud gunshots. Although they’re not the most comfortable earmuffs you’ll find, they do get looser with time. Noise exposure is kept to a maximum of 82dB and this includes external sounds as well as the internal audio you may be playing via the input jack. No batteries required with these stereo earmuffs — the input source supplies the power, so they’re like regular audio headsets which also protect your hearing. If your sole focus is on what electronics can do in a set of protective earmuffs, this is one of the very best ones around. A very innovative neckband design goes against the convention of traditional head-banded protective earmuffs, but what’s great is that you have a choice between the different designs. This set of earmuffs offers what is likely the best directional ambient sound propagation. Bring that together with a more than decent Noise Reduction Rating of 25dB and you have yourself a very good pair of protective earmuffs to use in any shooting environment, or even in noisy industrial workspaces. To fully access the functionality of the audio input features you’ll have to purchase a compatible cable patch from Peltor though. The neckband offers a different type of comfort and the protection stifles sound as harmful as those of pistols and shotguns. There are a lot of things to consider when weighing up the different options for shooting earmuffs. These options vary from design and visual appeal to performance to the most important consideration of the Noise Reduction Rating (NRR). Things can get a bit overwhelming if you take into account the overlapping of certain considerations. For instance, bigger muffs generally come with more battery life and more electronics. However, that might mean a heavier set of earmuffs, which may not be ideal if you’re hunting or shooting outside for long periods of time. Equally so, if the best electronic hearing protection has all the great features (amplification, directional sound detection, etc. ), and if you’re an exclusively indoor shooter, the allure of all those features might yet be irresistible. The bottom line though is that each feature comes with its associated cost. Hence, you just have to look at each advertised feature, decide whether it’s what you personally want or need and weigh that up against any other feature it affects. We’re kicking the list off with the Noise Reduction Rating. 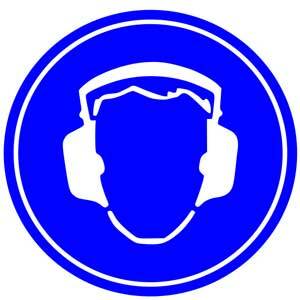 It is ultimately the most important consideration to take into account when choosing protective earmuffs for shooting. The rest of the list is compiled in no particular order, but Noise Reduction Rating is the most important because ultimately this is what determines the effectiveness of the hearing protection you get. Generally, you want to settle on an NRR of between 22 to 30 dB, with room to move to be only considered on the upper side of the scale. In other words, you can go for earmuffs with a rating of more than 30dB (which goes up to about 33 or 34 max in shooting muffs), but you don’t want to go lower than 20-22. If you are going to shoot outdoors, then you can go down to 18, but anything lower than that would be bordering on very risky levels. The most expensive protective earmuffs don’t necessarily equate to the best you’ll find on the market. The amount you pay isn’t directly proportional to the features you get and indeed the Noise Reduction Rating. 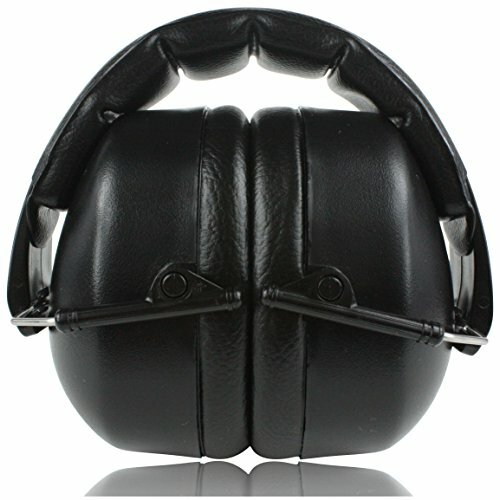 As previously touched on, every extra feature included in a set of protective earmuffs comes with its associated cost. So it’s up to you to decide what features you need and you should be willing to pay for those you need. If the budget allows, then you can factor in features you’d love to have as well. For example, if all you want is the highest NRR, you probably won’t find 33dB earmuffs which are also fully electronic. If you’re only shooting at an indoor range, it would be a waste of money to go for earmuffs which are sold expressly as sporting microphones which were purpose-built to reduce wind noise. This can be hard to gauge because it comes down to factors such as the general shape and size of your head and how long you plan to have your shooting earmuffs on. The next best thing is to read reviews, such as those found here, which cover the comfort and fit as part of the features and application of the shooting muffs in question. Anyway, in hearing protection, comfort is not at all a marginal factor. Comfort can be considered another aspect of safety. Personal style will almost always go out the window here. Manufacturers normally have one or two design-and-color variations. Some manufacturers will present up to five alternatives in color and design styles, but that is very rare. When you select earmuffs then, the design element should take into account practicality. What good is a camouflage design other than purely for visual appeal if you’re only going to shoot at an indoor shooting range? Similarly, what good is a pair of brightly-colored earmuffs if you plan to go hunting in the woods? There are advantages and disadvantages to passive protective earmuffs (noise blocking earmuffs) and electronic headsets. As a general rule though (it isn’t set in stone), the more electronics a set of earmuffs has, the lower the pure protection it offers in terms of its passive NRR. If you want electronics, the most important features you’d probably want are “natural” and “safe” sound amplification via microphones (preferably directional microphones). The ability to communicate via a plugged-in radio input is another important feature. Music via an MP3 is perhaps a bonus, but hey some shooters deem it important to pass the time between game-spotting in that manner. You’d then also consider what type of batteries are used and how long they last. Earmuffs can get pretty big and you just don’t want a set which hinders the process of shooting. Many will brush up against or hit the stock of a rifle because of their size, while others have enough clearing to accommodate guns and other accessories, such as shooting glasses. Quality earmuffs can only be confirmed via user experience, so in this case, it’s about learning from other users who have owned the earmuffs you’re considering. Generally, though, the less moving parts there are, the better the quality. This pretty much goes back to electronic protective headsets versus passive protective earmuffs. Your sole requirement could very well be that you want to listen to music or even to plug in a specific audio input source such as your iPod. If you’re going to be shooting in different environments, however, extensibility is very important. For example, if the batteries of your electronic protective headsets die, does that mean you can’t use them further until you change batteries or do they revert back to being passive protective earmuffs? Earmuffs are generally big and bulky in their size, with those offering the highest NR Rating generally associated with the biggest and bulkiest of them all. In this case, you might want to consider a choice from those which can maybe fold up for easy carrying and storage. 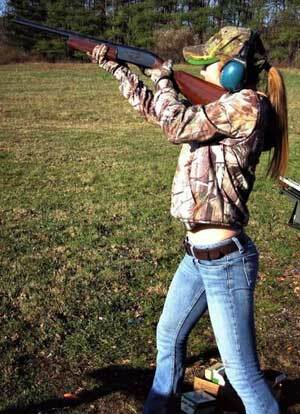 Earmuffs which are solely sold as shooting protective units aren’t necessarily the best or the worst you’ll find. 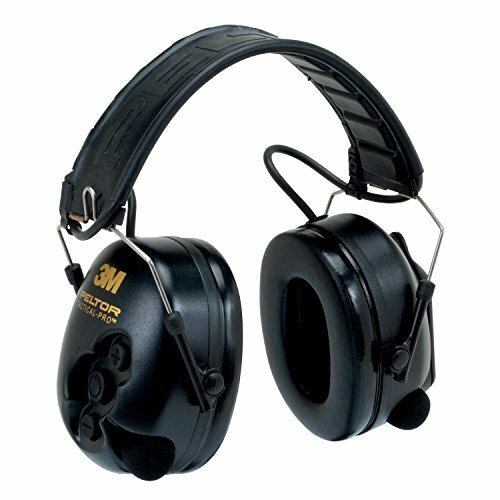 Some earmuffs which are marketed to do well in industrial environments surprisingly perform much better than those exclusively sold as shooting earmuffs. You might want to consider these other uses beyond shooting, like how effective they’d be for mowing the lawn or using a chainsaw. What is NRR – Noise Reduction Rating? There is a certain range of sounds the human ear can pick up. Generally, those sounds or noises produced by nature are what we call “safe” noise. In other words, if for example, you’re listening to a dog barking, the wind blowing or even a volcano exploding, your sense of hearing won’t get damaged. Your sense of hearing can get damaged however if it is exposed to noise levels that go way beyond what is safe for the human ear. As with just about anything else, these noises which can cause damage to the human ear are ironically man-made sounds, such as explosions which include gunshots. Other harmful man-made noises take the form of very loud music from ordinary speaker boxes. This kind of noise can cause some harm to your hearing and result in some defects such as hearing loss or pain in the ears. That’s why your ears start to hurt if you turn the volume up too high or if you stand too close to those huge speakers normally used in settings like a nightclub, etc. 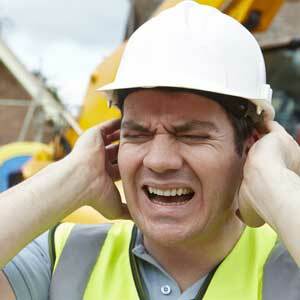 Noise is measured in decibels (DBS) and basically, the human ear has a certain tolerance for noise impulses. One or two sound impulses which go beyond what is considered safe for the human ear will cause a bit of discomfort. Nevertheless, this sound won’t cause any serious or permanent damage to your hearing. As a gun and shooting enthusiast, however, you’ll inevitably be exposed to those harmful noise impulse levels more than just a couple of times. These sound impulses are bad whether you’re out hunting or shooting, or indoors at an enclosed shooting range. Getting repeatedly exposed to high impulse noises for prolonged periods of time is absolutely hazardous. To put it into numbers, what is generally considered to be the maximum safe exposure to impulse noises goes up to 90 dB for a period of eight hours. This naturally varies from person to person, however, as a result of different factors such as biological wear-and-tear and even things like altitude (sound exists and travels as waves after all). Other man-made noises in addition to gunshots and loud music which can cause damage to one’s hearing are found in the industrial environments, such as heavy-duty machinery. In the case of gunshots, however, the majority of these fall within 140 to 160 dB, which is obviously way above what we’ve established to be safe exposure for the human ear. An M-16 is rated to produce a noise of 160 dB for example, while a 22-caliber rifle or pistol is rated at 140 dB. 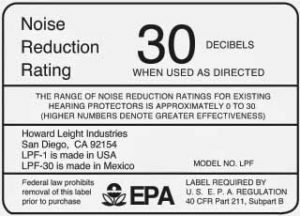 When manufacturers of hearing protection speak about the Noise Reduction Rating (NRR) of their products, what they’re simply referring to is the amount of noise in decibels (dB) which is stifled, blocked or reduced from the noise produced by those products. So if a set of earmuffs has a Noise Reduction Rating of 24dB, it means that a firearm such as a 22-caliber pistol with a noise production rating of 140 dB will be reduced by a factor of 24dB to a much safer level the ears can take without suffering damage. By now you should be fully aware of the dangers loud impulse noises pose to your hearing and you’re all about protecting your hearing from gunshots and maybe even from industrial noises. You’ve heard about the options you have and yet you’re still unsure as to how exactly to go about protecting one of your most precious natural gifts, the gift of hearing. One thing that remains is that you simply can’t just go out and shoot firearms regularly without protection for your ears. Taking time to ensure you have the proper protection is worth way more than the irreversible damage you could suffer. Impaired hearing or severe and permanent hearing loss are destructive consequences of not having the proper ear protection. So once you’re aware of the need to reduce, stifle or block out impulse noises, the focus shifts onto the type of ear protection available and just exactly which is good. There are two different ways we could group the types of ear protection available, one which is according to the design and build variation, while the other is according to the functionality. 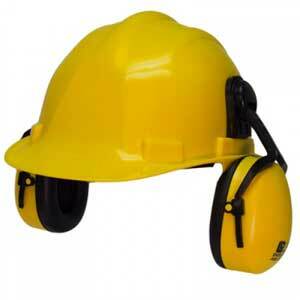 In terms of the design and build, you have protective earmuffs and protective earplugs. If we classify them according to their functionality, you get passive ear protection and you get electronic ear protection. We’ll go with the design and build classification because both earmuffs and earplugs come as either passive or electronic protection, but also because the choice between earplugs and earmuffs is usually what shooters consider before anything else. environments) insist that earmuffs offer the best form of protection. If you aren’t entirely clued up about what they are yet, earmuffs are those protective headphone-like muffs which are usually worn over your head, with the two earcups connected by a headband. Some structural design variations include protective earmuffs which latch onto the neck as opposed to having the traditional headband, but generally, they can be identified by a headband. Another variation is that of the ear-cups being built into a hard-hat, but that would be head and ear protection more suited or rather purpose-built for industrial working spaces. For comfort, while wearing, a lot of protective earmuffs have cushions built into the earcups and different types of materials are used. The common types of materials used for the entire protective earmuff structure normally include metal, steel, plastic and sometimes rubber. Fabrics are also sometimes used, so too sponge and even Styrofoam or polystyrene (mainly for the noise-stifling effect). Passive earmuffs only get their name as a result of the introduction of electronic earmuffs, which actually date right back to some of the earliest days of the mass production of protective earmuffs. Passive earmuffs are referred to that way because their sole function is to block out or reduce the loud and dangerous noise generated by gunshots or heavy-duty industrial workplaces. Manufacturers will usually then highlight features such as their Noise Reduction Rating, which is perhaps the highest in passive earmuffs because that’s pretty much what they’re all about. Other frequently highlighted features would then include the likes of size, particularly if they’re smaller than the market norm, as well as comfort. Electronic earmuffs incorporate some electronically operated functions which are typically powered by batteries. These functions usually include features such as amplification via microphones which pick up ambient sounds of the environment and the ability for you to listen to an audio source via an input jack, such as plugging in your MP3 player, iPod, or two-way radio transmitter/receiver. So in addition to the built-in NRR, what electronic earmuffs often give you is directional sound awareness, which means you can hear those sounds you’d ideally want to hear and be able to tell which direction they’re coming from, while the noise from your gun going off is reduced to a safe level for your ears. So ultimately passive earmuffs would be typically used to just offer noise protection at the shooting range (indoors), while the electronic ones would probably most likely be used in the outdoors, so you can hear voices, animal sounds, and other safe ambient environmental sounds. Protective earplugs are then naturally the alternative to earmuffs with their most noticeable difference being the much, much smaller size. Earplugs go right inside your ear canal openings as opposed to over your ears with the use of ear-cups, as is the case with earmuffs. Earplug manufacturers tend to take things a step further with their options, though, since you have disposable earplugs in addition to those built to last longer and for repeated use. Reusable earplugs are usually made of tougher plastics, silicone, polymer, and other more durable materials. As is the case with earmuffs, earplugs also come in passive and electronic variations. Because of their single focus, mostly you’ll find that disposable earplugs offer the highest NRR you’ll ever find across all types of ear protection. Obviously, the disposable earplugs would be the passive variety. Earplugs make use of less overall material, so they’re often much, much cheaper than earmuffs offering the same features and same NR Rating. 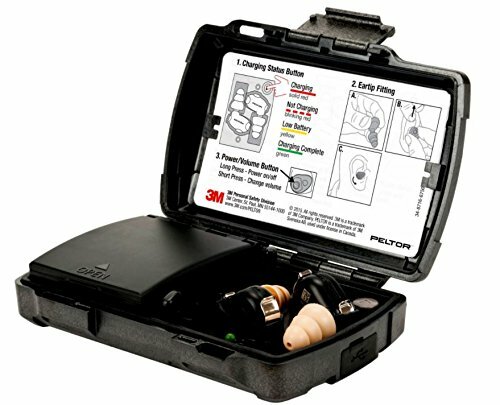 As an avid shooter or even if you’re an industrial worker who works in very loud workspaces, by now you’ll be aware of the need to protect your hearing with the use of protective earmuffs or earplugs. You might even already use some sort of hearing protection, but whether you’re using protective earplugs or earmuffs, you’re probably also curious as to exactly how they work to reduce or cancel out dangerous noise levels. In order to unpack exactly how hearing protectors work, one first has to understand exactly what they’re protecting your ears from. The sound is measured in a unit called decibels (dB), which is nothing more than a measure of the sound wave’s intensity or pressure. Basically, when someone whispers to you and you can hear them, what your ears are exposed to are about 30 dB of sound intensity, which is a comfortable pressure for your ears. So the sound waves are hitting your hearing receptors (small hairs on the inside of your ear) at an intensity you can handle and are very comfortable with. The human ear can handle up to between 80-90 dB of sound intensity and beyond that the intensity with which such loud noises hit your eardrum can cause damage to your receptors. This can even cause permanent damage in the form of permanent hearing loss. Gunshots can range from between 140 to 160 dB, which is far above what can cause damage to your hearing. That’s way too much pressure than what your ears can handle. Scientifically, it’s not known to be the absolute best conductor of sound waves, but the air is still one of the best conductors of sound and surely the best which is primarily exposed to the human ear. So when you pop on a set of earmuffs or earplugs to protect your ears from harmfully loud sound waves, you’re deploying a physical mechanism of protection. You’re simply putting a physical barrier between the receptors in your ear and the intense sound waves generated by something like a loud gunshot. The materials used in protective ear gear are essentially the best choice of elements which absorb or deflect harmful sound waves effectively, while also being safe for use in a device which comes into very close contact with human organs such as our skin, ears, etc. In the case of passive earplugs, some of which are even disposable and designed for single usage, it’s simply a matter of the plugs fitting tightly into your ear canal opening to block out sound waves from entering. If you can’t hear anything at all, then they’re probably airtight earplugs which block out all the sound waves as well. The design is a little different in the case of earmuffs in that the ear-cups are big and conspicuous, and they normally cover your ears completely. Similarly to earplugs, though, this is merely a physical barrier which blocks out or reduces the noise you’re exposed to via the use of sound wave blocking and absorbing materials. Passive earmuffs aren’t usually disposable, though, but are rather usually designed for re-use. They normally last very long as they’re usually very tough-built. Both passive earplugs and earmuffs usually have a very high Noise Reduction Rating, leading the industry standard with ratings of up to 34dB and more. Because of the manner in which the often slightly flexible material used in earplugs fits into the ear opening, the protective earplugs with the highest NRR rating are often well above the best rating offered by earmuffs. In the case of passive earplugs and earmuffs, the manufacturers pretty much just take into account one aspect, which is getting the highest possible NRR. Other considerations they may incorporate include comfort and durability, which is why they can indeed achieve a very high NRR. The high NRR comes down to the materials used, the materials’ density, and how it is shaped (structural profile). When electronics are integrated, however, the volume of materials used needs to be reduced in order to accommodate those electronic features and their associated functions. Properties such as the thickness of the polystyrene foam used in ear-cups give way a little to something like a magnetic speaker which is connected to a miniature amplification unit and perhaps even a tiny integrated circuit board. Naturally, this then eats into what would have been a much higher NRR because of less noise-reducing materials used, but what you now get are functions such as the mentioned amplification and the ability to listen to audio via an input jack. Electronic ear-protectors are usually powered by an integrated battery source, but some of them have an onboard rechargeable power supply unit. The onboard power doesn’t usually last as long as those which use regular batteries such as AA or AAA sizes. The “magic” of electronic ear-protectors resides in their basic functionality, which can be distilled down to just blocking out harmful loud noises (such as those of a gun) and picking up those sounds you’d still want to hear, such as human voices, running game, etc. These ambient sounds of the environment are picked up by the ear protector’s external microphones and are then amplified if required, otherwise, they’re just delivered to your ears as if you didn’t have any earplugs or earmuffs on. The option to plug in an audio input device and listen to music or communicate via radio is perhaps a bonus, otherwise, the same noise-reducing materials are used in electronic ear protectors as passive protectors. The only difference is less of that material is used to make a bit of space for more of the electronics which go into electronic ear protectors. The excitement of taking your newly-bought firearm out for a good session at the shooting range or for hunting should be accompanied by the consideration of your health and safety. 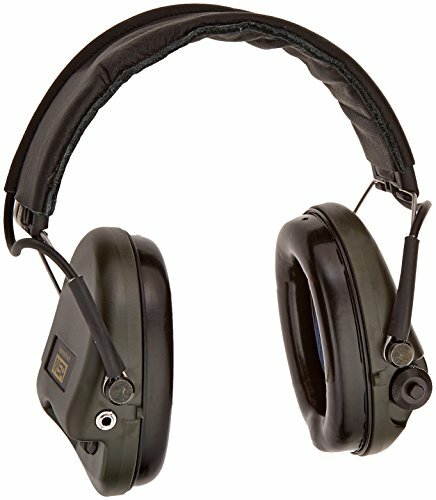 In addition to other accessories such as shooting glasses, the best ear muffs for shooting should be as comfortable as possible and not cause you to dread putting them on because at the end of the day it’s about protecting your hearing. We hope that our ear protection reviews for shooting helped to point you in the right direction because it can be very hard to make that final decision on the right set for you.